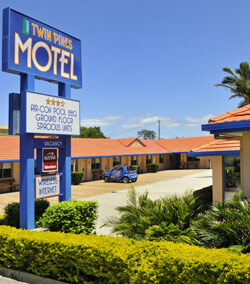 Yamba Twin Pines Motel is the BEST LOCATION IN TOWN. Just a 3 minute walk to the town centre and directly opposite the Yamba Bowling Club. 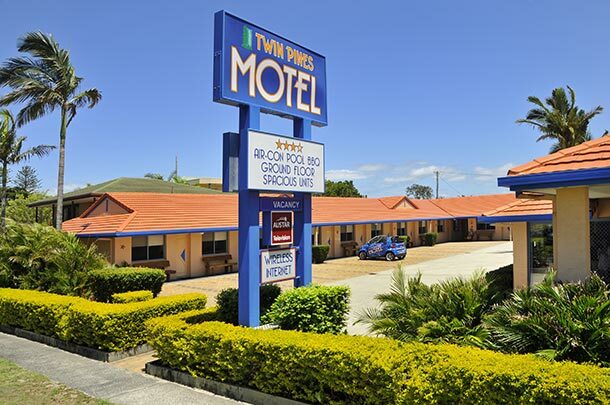 Yamba Twin Pines Motel has 16 spacious, all ground floor units (no stairs) with free off-street parking, close to your door. All units are equipped with large ensuites and walk in showers, air-conditioning and ceiling fans, tea and coffee making facilities a bar fridge, microwave & toaster, LCD flat screen TV, FREE FOXTEL & FREE WIRELESS INTERNET. 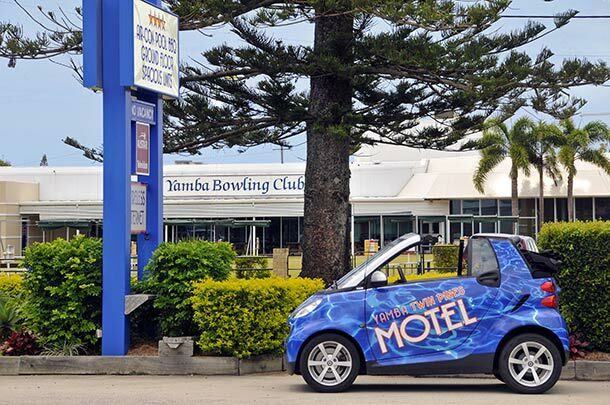 Yamba Twin Pines Motel caters for all groups, as our location is perfect for both Bowlers & Golfers, we offers discounts to Seniors Card holders & Auto Club members. We also have a unit which caters for the disabled guest. 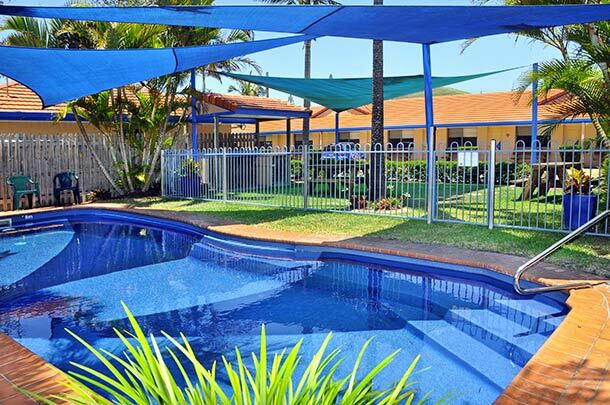 Yamba Twin Pines Motel is surrounded by beautifully appointed gardens, outdoor seating, and a tropical pool and BBQ area. It is the perfect choice for your accommodation needs in Yamba and the surrounding area. Walk from Yamba Twin Pines Motel to the Ferry Terminal, Yamba Golf & Country Club or take a leisurely stroll to Restaurants and Cafes, Town centre or the River and Beaches. Yamba has 11 beaches so you can always find one with the perfect conditions for swimming, surfing or snorkeling. Yamba is also known for its fantastic seafood & boasts very good fishing, rock, deep sea, beach & estuary fishing. Yamba Twin Pines Motel directly opposite the Yamba Bowling Club, where meals are available in the café or bistro for lunch & dinner every day of the week.